At 25, Freddie Highmore is the most conscientious young actor working in television today and his talent was recently awarded with a hit new TV show and Golden Globe nomination. 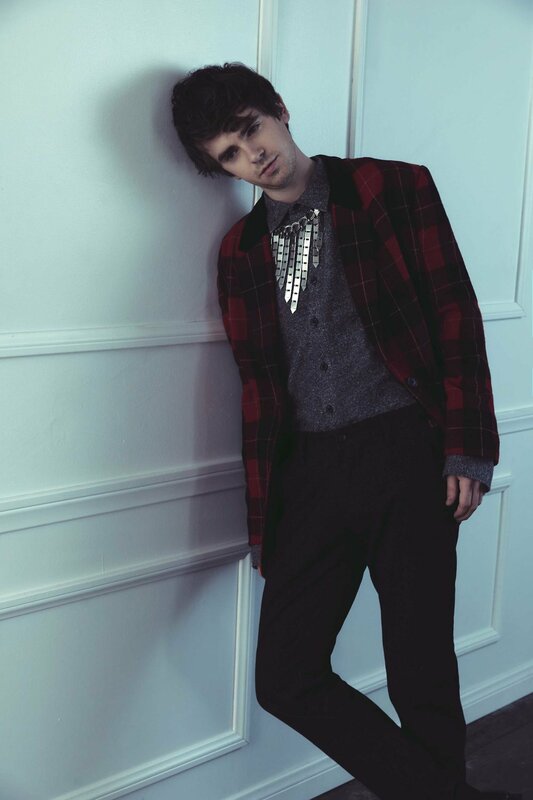 Highmore completely immerses himself in everything he does, whether he’s working in a law firm in Madrid or embodying the iconic character of Norman Bates. He is not someone who passively experiences the many opportunities that come his way, but deliberately chooses and designs each and every one of them. As a young boy, despite box office success and critical acclaim, often appearing alongside filmland’s top stars, he never solely defined himself as an actor. He has been performing nearly his entire life but has always made a conscious decision to keep his options open. 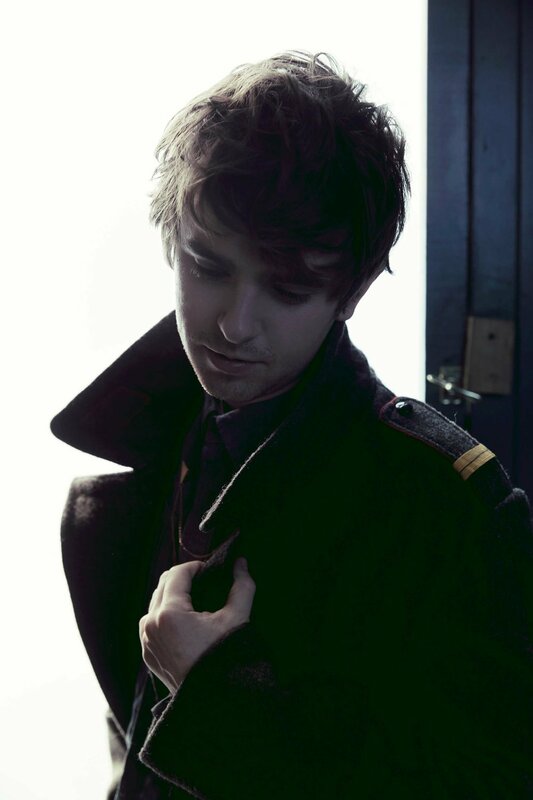 A week before our interview, Highmore received a Golden Globe nomination for his portrayal as Shaun Murphy in ABC’s hit new hour-long drama The Good Doctor. The commendation took him by surprise despite have already garnered an impressive 27 award nominations and 13 wins at a young age. The Good Doctor premiered in September 2017, and by October it sailed past reigning ratings champs, NBC’s This Is Us, and CBS’s NCIS and The Big Bang Theory to become the most watched drama on Network TV according to Nielsen ratings--a significant feat for a freshman series in the often-tricky 10 p.m. time slot. As with the nomination, the show’s success has been an unexpected and “thrilling” surprise to Highmore. He explained that on set he often feels as if he is operating within a bubble, fully absorbed in the day-to-day production of the series, and he doesn’t always have a clear sense of his audience. 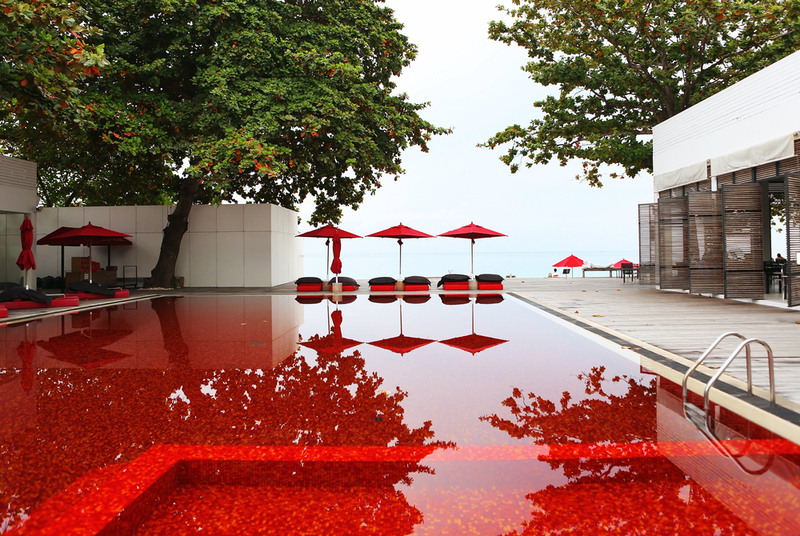 This idea, being “fully immersed” in his work, is a recurrent theme in his life. The Good Doctor began shooting nearly back-to-back with the culmination of Bates Motel after five highly acclaimed seasons. Highmore sat down in Los Angeles with writer David Shore and Seth Gordon, the director of the pilot, only three days after Bates Motel had wrapped. Highmore says everything “clicked from that very first moment” and returned to Vancouver several weeks later to assume the character of Shaun Murphy. “It is funny to think that was just earlier this year and now here I am,” he says. He managed to bring many of the same crew members over to his new show, including the cinematographer John S. Bartley and gaffer Andrew McLeod. In fact, he pushed for them. “There’s a sense of continuity there for me, of that family that was so dear to me,” he says. In casual conversation his voice has a softness, even a creaminess to it. Yet Highmore is highly articulate: he speaks very deliberately and carefully selects his words. Perhaps it follows naturally from so many years portraying Americans and having to precisely control his accent. As with his speech, Highmore is an articulate and precise performer. His characterizations do not have an off-the-cuff, improvisational feel favored by other young actors. Highmore seems to approach all of his decisions in life in a measured way and is mindful that his choices are his own. That is precisely how he describes his experience reading David Shore’s pilot for The Good Doctor. 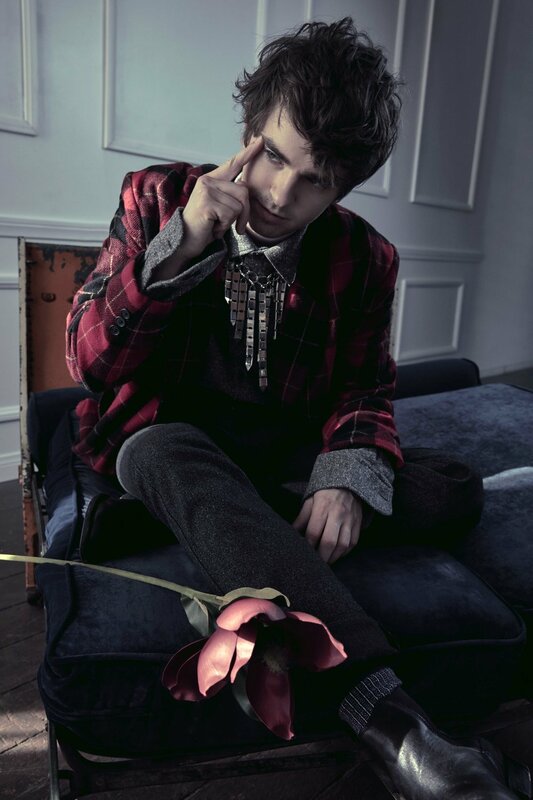 His first impression of his current character, Shaun Murphy, was that Murphy was a “fascinatingly intricate character” and Highmore was eager to build on what he saw on the page. Perhaps the catch was that he had to switch characters so abruptly. On the surface, there are few similarities between Norman Bates, a sweet, awkward, and sociopathic mama’s boy and The Good Doctor’s socially handicapped genius Shaun Murphy. But Highmore didn’t see the inevitable character whiplash as a deterrent. Without any artifice or melodrama, Highmore is an exuberantly positive person. He seems to approach every challenge as an inspiring opportunity rather than a looming obstacle. That might be something he has in common with his new character. Daniel Dae Kim, executive producer of The Good Doctor, described Murphy as an “anti-anti-hero” in a recent TV Guide interview, and it’s an apt coinage. “I like his new term,” Highmore says, laughing. In a roiling sea of shows featuring aggressively flawed and morally hardened anti-heroes, men and women besieged by more internal obstacles than external, the Walter Whites and the Dr. Gregory Houses of TV Land, Shaun Murphy is refreshingly kindhearted. ABC describes Shaun Murphy as “a young doctor with autism and savant syndrome”. Highmore related several intersections between his own character and that of the one he currently plays on TV. Highmore’s artistic precision is an essential aspect of his characterization. Highmore’s work on The Good Doctor is careful and nuanced, a culmination, perhaps, of 18 years of working in the film and television industries. He was born on Valentine’s Day in 1992 and his first film role premiered in 1999. Less than 10 years later he had starred in five more films, alongside heavyweights like Johnny Depp and Kate Winslet, and had tackled two iconic characters from beloved children’s books. He made a conscious decision at a young age to keep his options open. Many young actors talk about the difficulty of balancing acting and school and having to, at some point, choose one over the other — Highmore never seemed to feel that way. He says that the time he spent studying allowed him to make acting as an adult an active decision, one chosen out of a desire to perform. He also spent nine months working in a law firm in Madrid and immersed himself in Spanish culture. He found the experience “fun” and says that perhaps if his fortunes change, it’s a path he might consider. 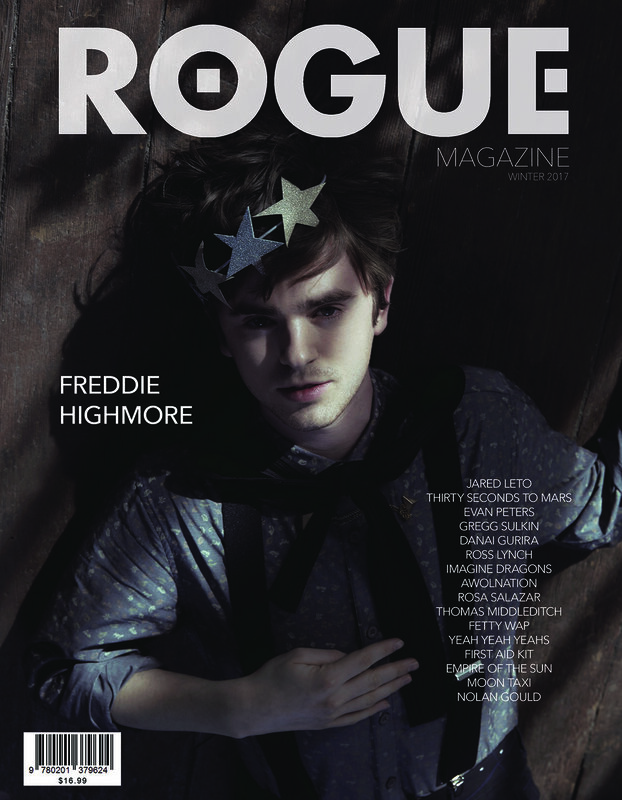 Freddie Highmore, the high-priced attorney? It’s hard to imagine. It’s difficult not to be impressed with Highmore’s aplomb. Many people do not challenge themselves to make a conscious decision about the career they pursue in life. That level of mindfulness seems even rarer for a highly regarded actor who began his career at 5, who was able to successfully transition through adolescence, and who has found incredible success as a young adult. At this point, it has nothing to do with luck or “being in the right place at the right time.” He is choosing his path in life. While he was working at the law firm, the opportunity to work on Bates Motel came along, and the script and character propelled him toward a significant life decision. “That was something that made me realize I wanted to pursue acting as an adult and make a commitment to be a part of something that could ­— fortunately for me, it ended up happening — end up running for several years,” he says. Film is a collaborative art form, yet all most audiences ever see is the actor. They don’t see the director or the cameraman (if they’re good), or the costume designer or make-up artist, yet all of these essential roles create the living, breathing, three-dimensional performance audiences enjoy. Highmore is a craftsman who appreciates, in particular, that collaboration. Highmore is interested in that collaboration and has become a student of film, tackling various other roles on set and challenging himself with each new opportunity. Audiences are probably most familiar with Highmore from Bates Motel than any other role he has assumed. He grew up playing Norman Bates, as the series ran from the time he was 19 to 25 years old. Previously, he had played more PG, family-friendly roles. Norman Bates was a completely different beast, a riveting challenge, the antagonist and protagonist combined into one role. That fragile dichotomy is, perhaps, the most important aspect of the show — knowing the trajectory of Norman Bates’ character arc and rooting for him in spite of it. It is an exceptionally difficult balance to strike and Highmore nailed it. That unwavering balance was the key to Anthony Perkin’s 1960 portrayal of Bates in Hitchcock’s original film — in Psycho, the audience doesn’t know where Bates is going to land and, up until the end, the audience is on his side and 100 percent empathetic for this strange but sweet man who is utterly browbeaten by his shrill and overbearing mother. It’s even more challenging to play that character when you and everyone knows where he will end up. Like any truly successful adaptation, Highmore took the essential elements from the original and made the character his own. When discussing his characterization, Highmore spoke about how fun it can be to play against expectations. “Everyone would read into every little look and think, ‘Oh, that’s Norman. We know where he’s going.’ But it gave you further license to make him as appealing as possible and to play against those expectations,” he says. He looks forward to having the chance to do that as well on his new show. Judging from the ratings and Highmore’s Golden Globe nomination, audiences are looking forward to it as well. And hey, if this whole acting thing doesn’t work out, you might see him starring one day in a court of law. FOR MORE ON FREDDIE, CLICK HERE AND TO GO BEHIND THE SCENES OF HIS SHOOT, CLICK VIDEO BELOW!